At Lakeside Dental, we make understanding your dental insurance and financing options a breeze. While we are in-network with most insurance companies, dental insurance generally does not cover all dental expenses. Dental insurance is designed to help reduce your out-of-pocket dental expenses and there will usually be some sort of out-of-pocket expense that you will be expected to pay at the time of service. Reimbursement levels are determined by your insurance provider and generally do not take into account up-to-date regional data in determining the reimbursement level. Additionally, there is no regulation regarding how insurance companies determine reimbursement and insurance companies are not required to disclose how they determine these levels. Your dental insurance plan is a form of compensation provided by your employer. While it is called “insurance,” it actually operates quite differently than your medical or auto insurance policies. 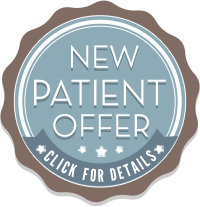 You can expect the carrier (insurance company) to reimburse a portion of your treatment fee. That portion is determined by the contract between your employer and the insurance company. The higher the premium paid by your company, the more generous the reimbursement. Insurance companies do not guarantee payment on claims and reserve the right to make payments based on their estimation of “Usual and Customary Rates.” Your particular policy may base its reimbursement rate on a fee schedule that is lower than our office’s. At all times, you can be confident that we will provide you with our best services without regard to the limitations imposed by your insurance coverage. To do otherwise would violate our commitment to you – a commitment that we honor because we truly care about your oral health. At Lakeside Dental, we make sure to keep our fees very reasonable. If you do not have insurance, we offer many ways to help you finance your dental care. We accept cash, checks, debit cards, and most major credit cards (VISA, MasterCard, Discover, American Express). We offer 10% discount for cash payments and 15% discount for senior citizens. We also provide CareCredit® Financing (interest-free payment plan).